Each fortnight, we're introducing you to our Love Home Swap Team, and after meeting our Head of Customer Serivce team member Nathalie, today she is sharing her favourite home swap holiday. Where? This stunning family orientated home is located in Phuket, the largest island in Thailand, having the feel of a city and the beauty of paradise. 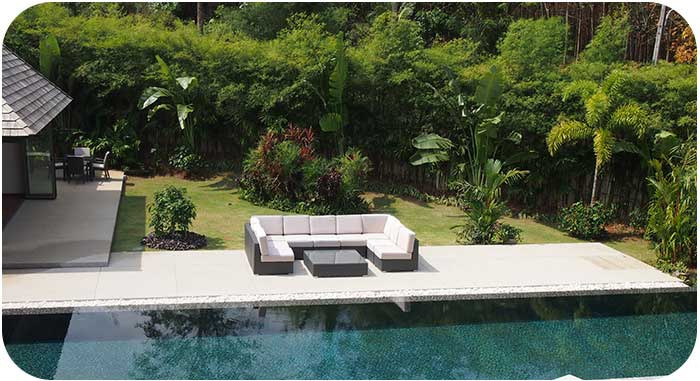 The house itself is only a 5 - 10 minute car journey from the best beaches and restaurants in Phuket. Why? Because I have always been living in big cities, where everything is moving so fast, I would like to "hide" for few days and just listen to what Nature has to say. To see more of this amazing Balinese home on Love Home Swap, click here.